Identify and Understand Your Audience to Create Content that Connects. Identify social platforms that fit your audience. One size does not fit all and setting up an account on Facebook, Twitter and Instagram does not give you instant success. If your audience is visual, then Instagram may be your best choice. If your audience likes to write or research reviews while being a part of a private community then perhaps Facebook is your better choice. You may even determine that there is a different target audience for different platforms. For example, you may decide to reach the “Mom Community” on Facebook, but the ‘Millennial” on Instagram. 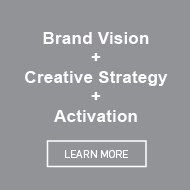 Identify the message that fits your target audience. Your overall messaging may be great for your current audience but may not fit if you are targeting a new growth opportunity. You may need to fine tune the message so that it connects with the new audience. For example, your product may be based on a “comfort story” that allows you to talk about your proprietary technology. Depending on your audience, you could talk about the innovation behind the technology, or on the flip side you could talk about the lifestyle that the technology enables. Identify the storytelling tools that best deliver the message to your audience. Does creating stop gap videos get your message across the best, or does a series of photos tell the best story? Perhaps it is about developing an ambassador program where your fans tell your story for you. Whether it is the creation of a whitepaper, or writing a blog post, or going on a photo-shoot, always ask yourself what the audience wants to know. If you don’t know the answer – ASK. Ask your audience what they want to see or read. They will be happy to be a part of the process and feel like they are a part of your brand. Regardless of who your audience is, you need to gain an understanding of where your audience consumes media and how they like to engage with brands. Blog Post: Do you have the right Instagram Followers? What is your goal? What do you want to achieve? If you don’t have a measurable goal in place you will never be able to accurately determine if the trade show was worth attending. Be greedy and have more than one goal. Have a goal for the show itself, and also have a goal for the revenue that comes immediately afterwards. No matter the size of the your trade show booth, there needs to be focus! What story do you want to tell? What do you want every person to leave knowing about your brand / product / service? This Allerion booth is only a 10 x 10 space but it checks all the boxes. It is simple with a clear message. You know immediately the industry that they are servicing. You know the positioning that they are taking. You know the product that they are showcasing. You can easily find the contact information without having to search for it. Even if you are a B2B business who works with corporate clients, every person who visits your booth should leave with a great brand experience. This does not mean you need to hire dancing monkeys and give neck massages unless of course your business is a travelling circus or a spa. This means that every person who passes through your booth should feel that they are important, whether or not they are a likely candidate to partner with your business. The simplicity of a smile, a greeting, a demo, a coffee or something that is unique to your business will go a long ways in establishing your brand as a true leader in your industry. Adding interactive touch points such as touchscreen kiosks or video demos, can keep visitors in your booth longer giving your sales team more time to build relationships. I was at a consumer trade show this past weekend, and one brand really stood out to me as having checked all the boxes. Maison Orphée, from Quebec, engaged with each and every person who stopped by their 10 x 10 booth. Before getting a hands-on demonstration and creating your own vinaigrette seasoning to take home, you were requested to download their app. From a marketing perspective, this was a brilliant move as they now have the ability to track future activity through their app, plus can determine if they met their more immediate goals of # of downloads and purchases. Have your sales tools in both digital and hard copy formats. Have an ipad in the booth, where people can sign up for more information to be emailed to them. This gives you a reason to reach out to a potential lead after the show is over, and the information overload has settled down. As per the example above, creating an app with real value, gives you a continued connection to your fans and customers long after the trade show is over. The Maison Orphée App, gives searchable recipes for Marinades and Vinaigrettes, as well as easy to use functionality that allows you to change up the recipes depending on the # of people you want to serve. Don’t believe the saying, “If you build it, they will come.” Be prepared. Don’t wait for walk by traffic. Invite people and have set appointments. I can’t stress this enough. Get people excited about the event weeks in advance. This could be by social channels or by a fun personalized invitation sent out to your database. I was at a show recently where a few sales reps from various booths commented that “Tradeshows are dying” and as I looked around, I noticed that their booths were slow and reps were just chatting with each other. Yet, as I rounded the corner to go visit the booth of the brand I was working with, I noticed a drastic difference. This booth was humming with activity. Every rep was busy with a customer. At the end of the show, I asked them what they thought made the difference. They said it came down to the fact that they had sent out invitations and set up appointments weeks in advance. Make sure your investment nets you the outcome you want by taking the time to plan ahead. 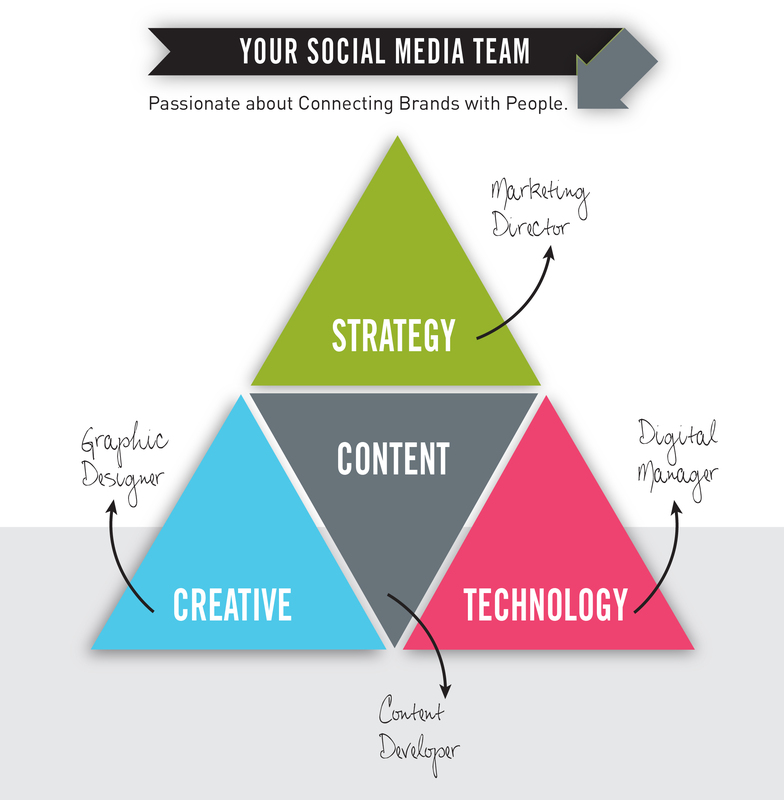 What Makes a Great Social Media Team? A team that is passionate about connecting brands with people will be successful in building new and long-term relationships. 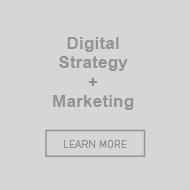 Marketing Director – Developing a strategy is the first most important step before heading into Social Media territory. A Marketing Manager will determine which Social Media platforms are the best fit for your brand. They will lead key messaging and help keep the campaign direction on track. Content Developers – Unique content is king and multiple content developers can keep the stories flowing often and consistently. Storytelling is a big part of social media; whether it is through 140 characters, a photo essay or a blog post. Graphic Designer – Creative graphics keep the reader interested as well as give the opportunity for people to share visual content with others. Digital Manager – Having someone on the team who can develop custom apps, track traffic through analytical software, and who is always looking for advancements in technology will ensure your content and messaging is always top of mind. A great team will create new fans and build upon the loyalty of current fans through content filled engagement that make people feel like they are a part of the process. How connected is your team? Do you have the RIGHT Instagram Followers?